So remember a week or two ago when I posted about The Parlour and said that they’re usually parked by Motorco but I don’t go there because I’m just not that cool? Well, I finally got myself back to the Fullsteam/Motorco area (I’ve been to Fullsteam before, once, I know, I’m not really a big beer drinker…) last Friday night, but this was mostly in a ploy to re-visit The Parlour. I know, I know, my priorities are clearly skewed. I did have some cider, though, so at least I imbibed something alcoholic. Also, Fullsteam’s really chill if you haven’t been before–lots of outdoor picnic tables, lots of beer, foosball table, etc. And, food trucks! It was good! Thin crusted, crackly, with a good crunch all the way through. I prefer a little bit more sweetness in my sauce but overall this was a solid cheese slice. I think I might like Klausie’s, another local pizza truck that I tracked down once, a bit more–but that could be because it was a big ordeal for me to get there and sometimes food just tastes better after a struggle. 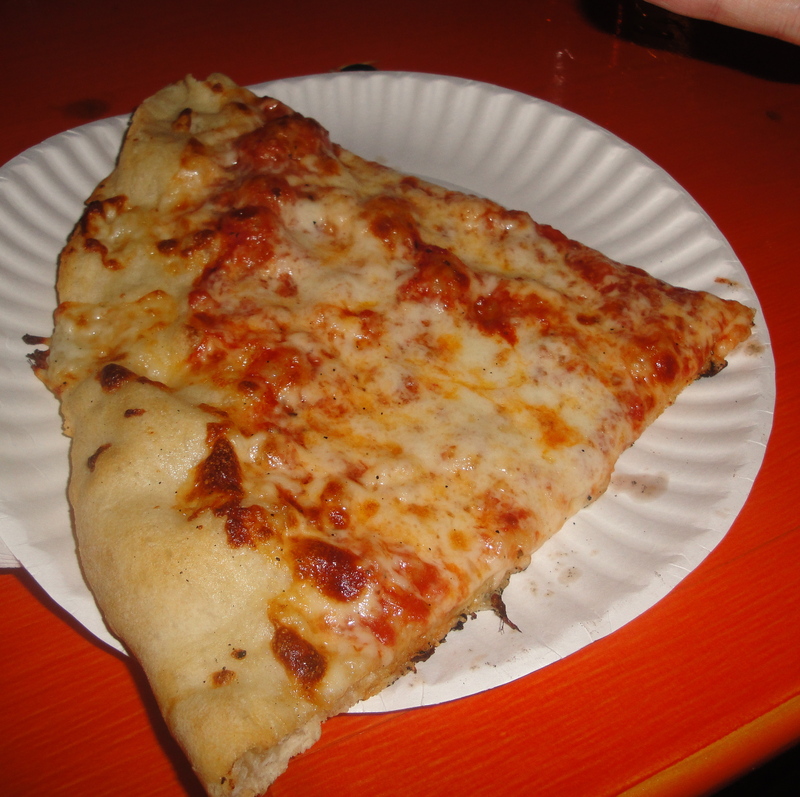 Also, Klauise’s pizza is much different from Pie Pusher’s–a thick, grandma-style slice vs. a thin slice. I guess it depends on your mood. I’d also like to try Pie Pushers on a not-full stomach, and maybe get one of their slices with toppings. On a side note, the ladies running the truck were super duper nice! Also, if you are at Fullsteam/Motorco and not in the mood for pizza, the Farmhands Food Sausage Wagon is usually parked nearby. I am loving this food truck movement, truly. And then, 9:00 finally happened and The Parlour rolled up, and I was reunited with my sweet, sweet salted butter caramel and the excellent strawberry ice cream. And this time I took a picture. Seriously! So creamy! So delicious! I would bathe in the salted butter caramel, truly. And guess who is going to head out to Golden Belt tomorrow just to track down the Parlour again (okay, and also to hang out with my amazing talented friend Heather Gordon who has a studio there). THIS GIRL. You totally don’t have to be cool to go to Rigsbee! We’re big dorks and we go there regularly. Thanks for the blog love! Finally got to Motorco/Fullsteam, now just need to go for the Bloody Brunch! 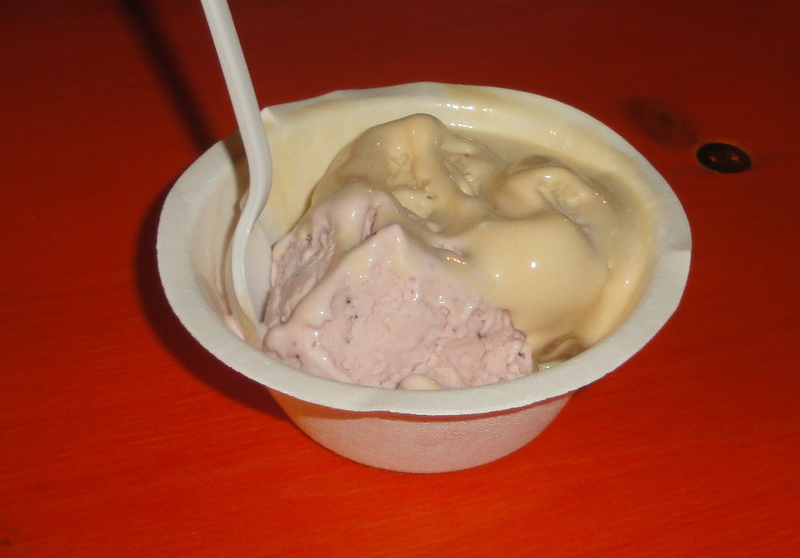 I still haven’t tried Klausie’s and it makes me very sad. I’m a transplanted Californian rather than a transplanted New Yorker like many Triangle folks, so I don’t feel that my pizza needs to be NY in style. Pie Pushers was tasty, but I have a feeling I’ll like Klausie’s more. Klausie’s is good! They tend to hang out in Raleigh but make it to downtown Durham on occasion. I’d chase them down more often but I’m trying to watch my carbohydrate intake and lord knows a thick-crust slice isn’t the way to do it. I really liked Klausie’s and am looking forward to treating myself to a slice hopefully soonish!